Blondie and Brownie: Breaking! The Heat Lamps are on at Shake Shack! 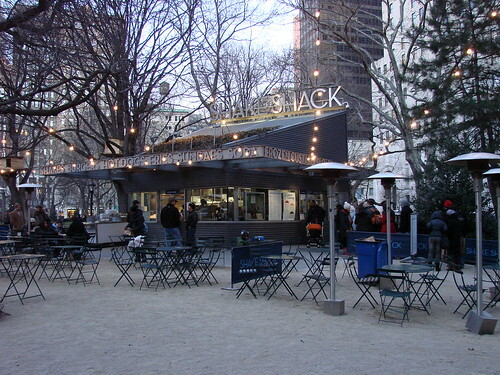 In the past the folks at the Shake Shack have turned on their heat lamps later in the season. But as of last evening, my brother-in-law aka Lawman-in-law hit the Shack for dinner and discovered that the lamps are on. Pumpkin pie custard sounds delicious! BTW, I work for a company called www.bitehunter.com. We are the web's first real time dining search engine, and have all dining info from thousands of restaurants' tweets, blogs, websites, as well as all dining deals from daily deal websites. Check us out!